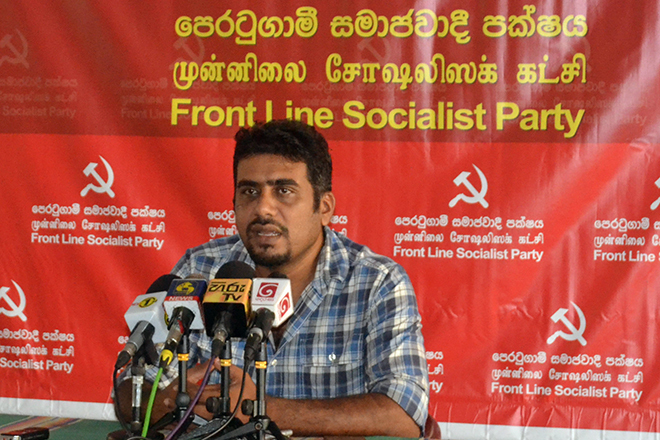 If the Prime Minister says that the imports need to be controlled and this is after implementing the neo-liberal economic strategy for 40 years, the Front Line Socialist Party says that it is not the open economic policy, therefore the government should accept that their economic policies are now defeated. 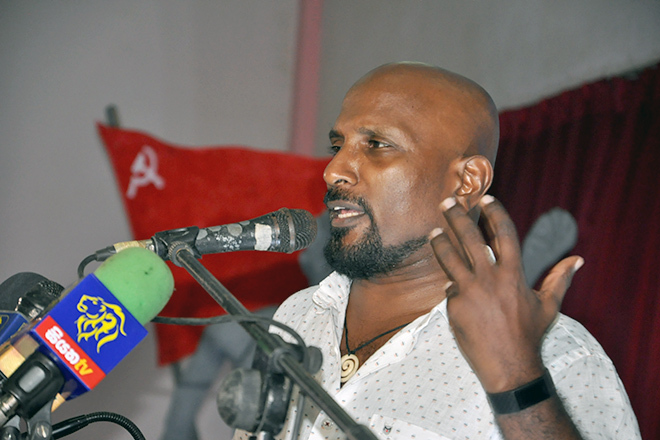 Front Line Socialists Party’s Education Secretary Pubudu Jayagoda spoke about the Depreciation of the Rupee value and the economic crisis in the country at a media briefing. “There are two crucial occasions affecting the value of the rupee. One of them is allowing the value of rupee to be dependent on the market’s supply & demand, as per the Central Bank’s Ruling on November 16, 1977. The second one is that deciding to end the Central Bank mediation on the Rupee Value, as per the decision taken on the 4th September, 2015 by the current Ranil Maithri Government. So the rupee collapsed. Therefore, the value of Rupee has depreciated sharply from Rs 130 per dollar to 170 per dollar since the present government came to power on January 8, 2015. On September the 22nd, Prime Minister Ranil Wickremesinghe said: “We need to control import expenditures and limit imports. No other solution.” He says that we need to cut back on imports expenditure from $ 500 million to $ 1 billion as a minimum, or we have no salvation. We are also saying that the imports should be controlled. However controlling the imports expenditure is not the Neo-liberal policy. 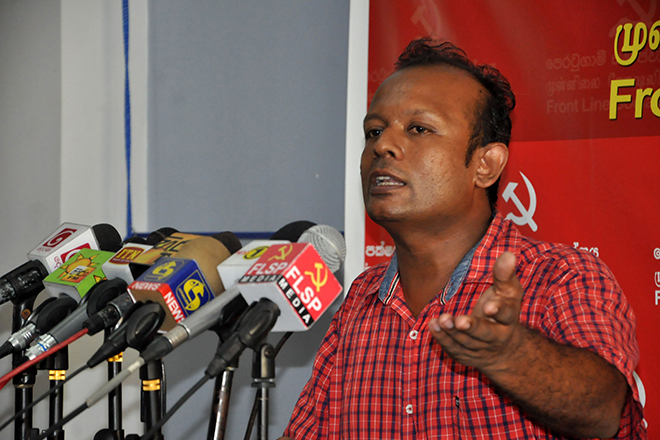 It is against neo-liberal policy to control expenditure on imports. Build the People’s Power Without Cheering at Palace Conspiracies ! 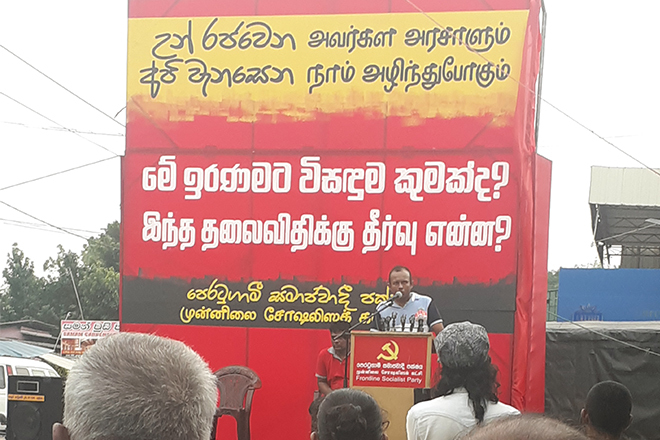 -Duminda Nagamuwa.